Today was the day. The official start of school for my kids. The summer flew by, I wanted it to stay a bit longer, but the time passed really quickly. My boys were ready to start, though. They were all packed and ready to go, new school supplies in hand and big smiles on their faces. I can sense it will be a great year of growth, learning, and exciting achievements for all four of them. I am excited to see what it brings! School days bring lots of activity to our house and the best way to deal with that is to be really organized. With four boys, you can imagine what mornings look like for us. It is crucial for us to plan ahead. This means packing lunches the night before and packing sports bags so they, too, are ready to go when the morning arrives. Lands’ End sent us some great items to check out that I am loving already. Growing boys need healthy lunches and plenty of space to pack them in. I love this ClassMate Soft Side Lunch Box as there is tons of room to pack a water bottle, ice pack, fruit, snacks, sandwich, and chips. Not all lunch boxes are created equal, to be sure. Many times, I can barely close bags when I add water bottles and ice packs! This is not the case this year. They come in a variety of bright colors, we choose this blue one and had it monogrammed (always an option at Lands’ End) with my son’s initials to easily identify it. 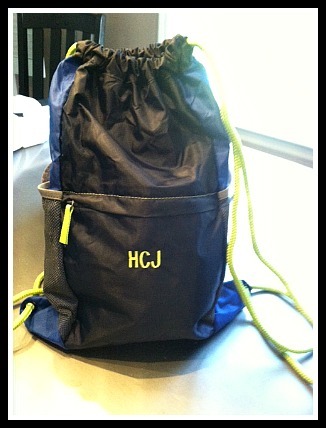 Middle school brings sports and gym class and a reason to carry a drawstring bag for shoes and other sports equipment. Just like the lunch boxes, these packable cinch sacks are roomy, sturdy, and bright. They, too, can be monogrammed, making it easy to pick your bag out of a pile of other bags on the side lines after practice. I love the extra storage with the mesh pockets on the side, it makes it super easy to grab your water bottle. You will find that your kids use these bags for so much more than just sports. 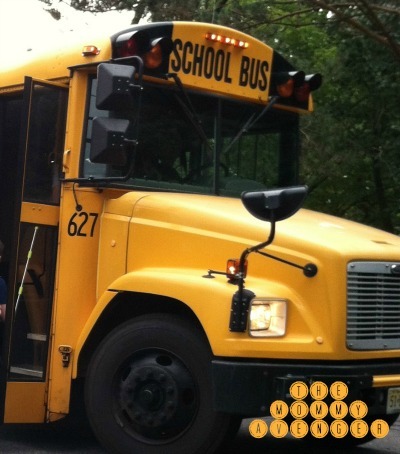 Day trips, field trips, sleep overs, amusement parks, swimming, going to the beach…..the possibilities are endless! 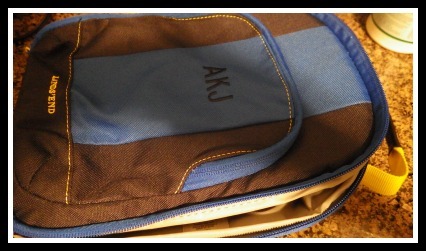 My boys love their new bags and I know because we are organized we are ready to face each day! You can find tons of great products from Lands’ End online, including apparel, bags, and more to start your school year off well! Now is a great time to shop, as Labor Day sales have begun!